If you have been paying attention to the news in regards to new dinosaur discoveries you have probably heard about all of the recent findings coming out of China. In fact, over the last twenty years so many new discoveries have been made in China that what we thought we knew about dinosaurs has been changed. These new discoveries have even caused textbooks to be rewritten, which we all know is not an easy feat. One of those discoveries that changed what we thought about dinosaurs was finding some of the smaller ones with feathers. It was this discovery that lead scientists to think dinosaurs might be related closer to birds than what we first thought. However, a discovery that was widely reported on Wednesday, April 28, 2015, has caused us to change our way of thinking once again. As reported in the journal Nature a 160-million-year-old fossil was recently discovered in China. With the discovery of this fossil scientists know believe that dinosaurs may have tried flying without feathered wings. After studying these fossils Chinese paleontologist determined that they belonged to an unknown species that belonged to a little known group of small dinosaurs that were related to some of the most primitive birds, including Archaeopteryx. They based this conclusion on the fact that the fossil had feathers, but not enough feathers that would help them take flight. What led them to believe that this was a flying dinosaur was the long rodlike bone that was located at each wrist. 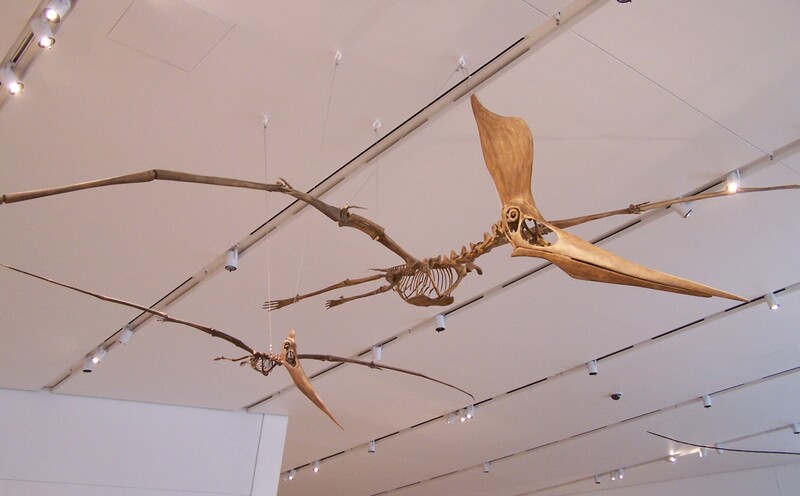 These rodlike bones had a curved structure, which meant they could support a membrane that could be used for flying. Upon further examination of the fossil, paleontologists discovered small amounts of membrane tissue throughout the length of the rodlike bones. Based on these findings scientists felt it safe to say that these small dinosaurs actually did fly by using membrane like wings, similar to what bats and squirrels use. What is interesting to note is this type of wing has never before been discovered in dinosaurs. This new species was named Yi qi, which means strange wing in Mandarin by Dr. Xing Xu and his research team. From studying the fossil the research team was able to determine that Yi qi belongs to a group of small dinosaurs known as scansoriopterygids. These carnivorous dinosaurs have so far only been found in the fossil beds in China and none of the other related species of this group have shown any kind of flight ability. However, what is interesting to note is that none of the researchers who have studied this newly found dinosaur will say one way or another if the dinosaur could fly for sure. What evidence does show is that the dinosaur did not have the ability for powered flight. And with the incomplete preservation of the wing membrane, nobody knows for sure how the wing was actually configured. And with the skeleton below the rib cage missing nobody knows what role the dinosaur tail has played in flight. All of these missing pieces would go a lot further in answering the question as to what type of flight this dinosaur was capable of.